Discover the undiscovered. Journey to a forgotten Jamaica where the natural beauty is simply unforgettable. Within a 500-acre wilderness preserve, blue mountains, lush palm groves, pristine coastlines and shimmering turquoise waters create an unbelievable backdrop for a monumental resort. Sandals Whitehouse Europe Village & Spa perfectly blends the exotic allure of the Caribbean with the refined elegance of Europe. Charming Italian piazzas and fountains are surrounded by gardens resplendent with fragrant foliage, while three European-inspired villages – Italian, French and Dutch – are home to luxuriously-appointed, all oceanfront rooms and suites. Each one offers magnificent views overlooking the two-mile long beach, and top tier suites come with Sandals’ legendary Butler Service. Seven restaurants serve mouthwatering gourmet cuisine from around the world, and entertainment ranges from a sophisticated piano bar to bonfire beach parties and a chic nightclub. This resort is truly a world unto itself, where time is all but forgotten and the only moment is now. 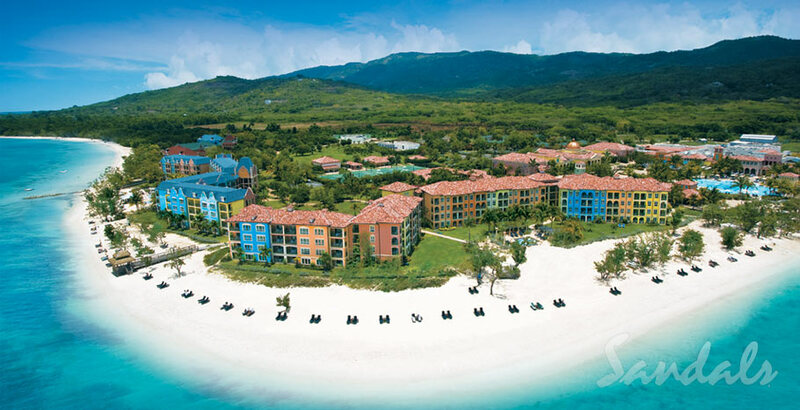 Learn more about Sandals Whitehouse.